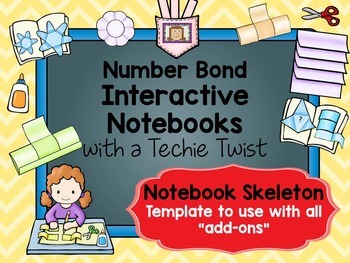 I wanted to make a super-MEGA-extreme Interactive Notebook bundle. When I started creating files for it, I realized that due to limited file size, I would not be able to include everything I wanted. Rather than compromising my products by scaling them back, I decided to create a template for the notebook and many "add-on" files to fill it with. This is the skeleton for your interactive notebook. It contains a cover page and tabs. All the content to fill the notebook can be found in the add-ons. Click on any of the links below to check out the add-ons currently available. Lots more add-ons are in the works! Be sure to follow my store (click the green star next to my name) to stay updated!